What is a Telecoil (T-Coil)? 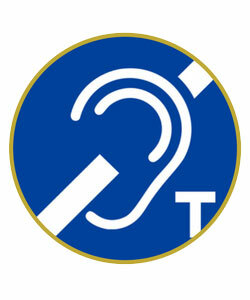 A telecoil is a small copper coil that is an option on most hearing aids and is built into cochlear implant processors. They are also known as T-coils, they were originally used to boost the magnetic signals from the telephone handset. All landline and some cell phones are designed by law to be used with a telecoil. This pairing of technology bridges the physical space between the individual’s hearing aid and the sound source connecting the listener directly to that sound source while eliminating most background noise. The telecoil is what make hearing loops such a vast improvement among other hearing assists. By utilizing technology already built into today’s hearing aids, hearing loops offer the most comfortable solution for users by eliminating the need for receiver units to be worn.